Andalo is located in the heart of the Paganella highlands, surrounded by the breathtaking beauty of the Brenta Dolomites. Its superb position and the dream atmosphere make Andalo one of Trentino’s finest destinations. Nordik Hotel is pleased to host you and make you stay in a venue as beautiful as the surrounding landscape. For your holidays, whether you are with your partner or family, in summer or in winter, you can enjoy unique nature and facilities that will meet any requirement, from skiing to trekking, from hiking to mountain bike excursions. Our personnel will recommend and guide you through this corner of paradise, where the sky is the limit. Andalo is the ideal place where to spend your winter holidays in the extraordinary snowy landscapes of the Brenta Dolomites, a UNESCO world heritage site. Skiing on the slopes of the Paganella Ski Area means having 50 Km of ski runs available. Anybody can enjoy these runs, from the most expert ones to kids or beginners. 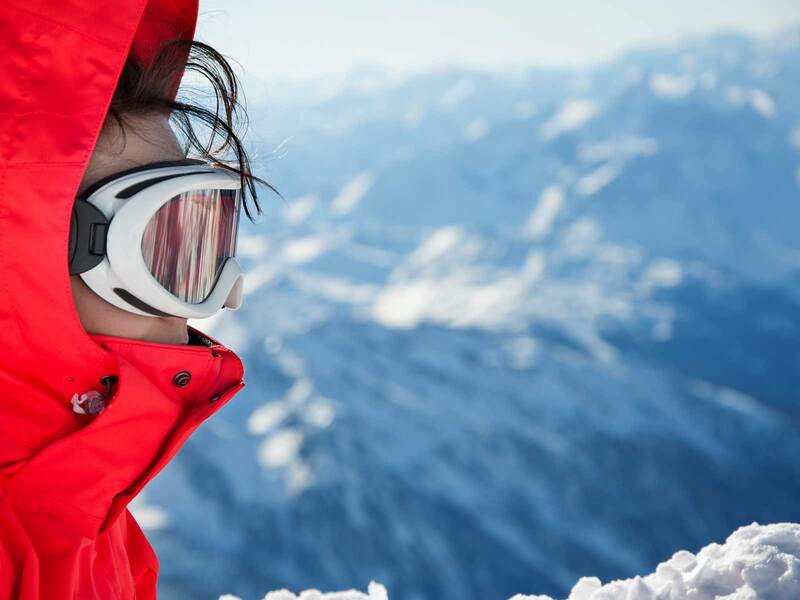 Ski schools and equipment rentals will make your stay practical and comfortable. Nordik Hotel is right in front of the skilifts, and will provide you with the help and support you need in an oasis of relaxation. You can enjoy skiing and snowboarding, but also snowshoeing, cross country skiing, and skating for your physical and mental wellbeing. The lovely surrounding ecosystem makes Andalo a wonderful destination, whatever your age. 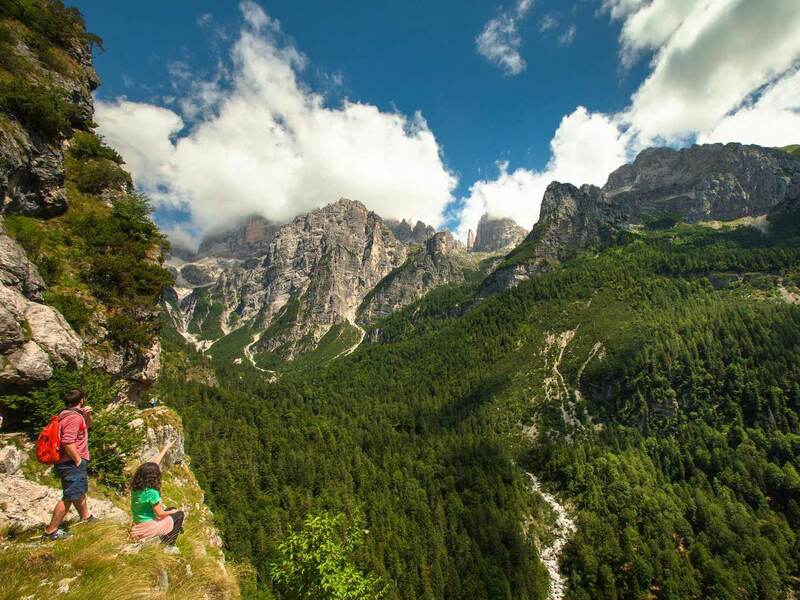 Let the extraordinary beauty of the Adamello Brenta Nature Park enchant you: 600 m2 of untouched nature and biodiversity. Adults will let their inner child out in front of the unique landscape in which mountains, woods, and grasslands alternate with 48 crystal clear lakes. You will retrieve the sense of wonder that urban landscapes made you forget and witness something that has no equals in the world. Refresh your body and mind by riding a horse or a bike, or simply walking across the trail that leads to lake Molveno or one of the slopes perched on the Paganella plateau. Your holiday in Andalo offers endless possibilities. You just have to choose which of the countless pearls of the Brenta Dolomites to visit first. Enhance the value of your time and bring beauty to your life. We at Nordik Hotel will be happy to host you any time you want. We are sure that once you’ve visited these places, you will be eager to come back as soon as you can.